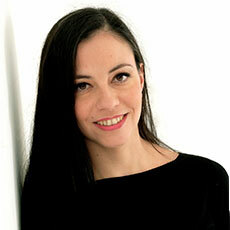 Mercedes Sotos Prieto, PhD is a nutritional epidemiologist trained in Europe and Harvard Chan School of Public Health. She is currently an Assistant Professor at Ohio University and a visiting scientist at Harvard Chan School of Public Health. Her current research focuses on dietary patterns and cardiovascular diseases, with special interest in translational nutritional epidemiology. She has ample experience working in randomized control trials. During her PhD she worked the largest Mediterranean randomized controlled trial so far, the PREDIMED (Prevention with Mediterranean Diet) study, evaluating the intervention of a Mediterranean Diet supplemented with extra virgin Olive oil and Nuts on the primary prevention of CVD with special focus on gene-diet interactions. Her broad international experience in different epidemiological studies specifically in lifestyles, Mediterranean diet and cardiometabolic risk factors provides her with strong understanding of different study designs, as well as multidisciplinary vision, and the ability to easily transition from epidemiological data to public health applications. During the past two years Mercedes has been actively working with firefighters trying to establish the effectiveness of behavioral change strategies and modify the existing food culture in the fire service to improve health outcomes in the currently funded “Feeding America’s Bravest: Mediterranean Diet-Based Intervention to change Firefighters’ Eating Habits and Improve Cardiovascular Risk Profiles”. Mercedes had a key role in the development of the nutritional intervention/curricula and the study design as well as coordinating and supervising the recruitment, intervention, data collection, questionnaires processing, writing manuscripts and the development of new research ideas and grant applications (such as the currently funded grant to study biomarkers of dietary compliance in firefighter or the published manuscript about the MD intervention design in Firefighters). She had a strong record of publications in high impact journals such as Circulation or a recent published manuscript in the New England Journal of Medicine. She investigated how changes in different dietary patterns and other lifestyle factors over time are associated with clinical risk factors, CVD and mortality in two large cohorts: Nurse’s Health Study and Health Professional Follow-up Study (>100,000 participants followed for >30 years). 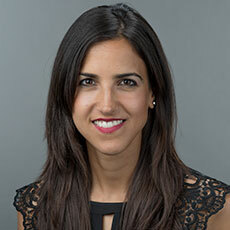 She has also experience working with different populations and the results of her findings are highly relevant for nutrition and public health policy and provide support for stronger policies to be developed to help the general population and specific ethnic groups improve diet quality to prevent CVD.